(416) 239-3600 EMERGENCY - | sales@completeeaves.ca or click here! KEEPING THE EAVES CLEAN is your home's #1 defence AGAINST water damage that can cost you thousands of dollars in repairs. Damaged and Mildewed Walls- If the Eavestrough and Downspouts are clogged water follows the path of least resistance and can drip down the inside of the walls potentially causing electrical damage to your homes and damage the wiring. This sets up the groundwork for mold formation. Drywall will become weak and begin to breakdown, water stains will become visible. A large influx of water can become devastating to the foundation and structure of your home. Evidence of water damage and the damage itself will decrease the value of your home, which is possibly your largest investment. Soaked Roof Deck Asphalt shingles are very resilient and can last 20 ¨C 25 years when installed properly. However, if clogged Eavestroughs are holding and spilling water over, this water will eventually soak the shingles at the edges of the roof. Shingles that are constantly wet will breakdown faster than other parts of the roof and lead to the need for replacement of the roof before you can get the most out of your investment. Rotten Fascia and Soffit -If water is not flowing freely from your downpipes, this probably means that water is sitting in your eavestrough. When the water starts to overflow from the eavestrough , it appears like a waterfall. The problem is now the water can go anywhere. This water is also getting back behind the eavestrough soaking the wooden fascia and wooden soffit. The eavestrough is secured to the roof through the fascia board, which now may eventually rot as it constantly wet. The Fascia and Soffits are weakened and lose their ability to hold the Eavestroughs on the roof. The eavestroughs become loosened and it might just take a strong wind to blow them off so they will be left hanging or very loose. Siding Damage -When water is backed up, it can flow inside or outside your walls. It can flow down the outside of your interior walls or could flow down the inside of your exterior walls. If you have siding (vinyl, aluminum or wood), water flowing behind the siding will eventually rot the back board and/or insulation and the alignment of the siding will become altered eventually causing pieces of siding to become loose and/or fall off completely. Should you have a stucco facade, water stains and cracks will appear. Cracked Patio, Porch and Driveway -Leaks from corners or seams in your Eavestrough may occur if water is pooling or collecting because the eaves and downspouts have been clogged and water damage has eroded the seals of seams and corners. If left unattended these drips, depending on what kind of surface is beneath them, will slowly erode away at porches, patio stones, walkway paths, asphalt driveways even concrete. Leaking eaves and corners. This needs immediate attention and should be considered an URGENT SITUATION. Please Note: Cleaning the eavestroughs and downpipes in itself will not solve this problem, as lack of attention has now caused damage to the system. Erosion of Flower Beds and Landscaping -Water that spills over or behind the eavestrough, or from leaks in the seams can negatively affect landscaped bushes and flowerbeds and can turn regular grass into mud. The water from the drips and leaks will also drown all types of flora and fauna, making expensive landscaping void and unsightly. Cracked Foundations the number one cause of wet basements and cracks in the foundation is due to Eavestroughs that are not working as they should---to remove water away from the foundation. Waterproofing is often done unnecessarily, when all that was required was to unclog a downpipe or extend the downpipe away further from the house. Should your weeping tile be clogged or if your foundation wall is porous or cracked, rampant water may find its way into your home and flood the basement. Buckling Basement Walls -Water in the basement will also seep through the mortar of a block basement wall and weaken its integrity, possibly shifting the wall and making it more prone to buckle. This will only happen in extreme circumstances where water has been left unchecked for long periods of time. Mold in Crawl Space -Very few houses have crawl spaces instead of basements in Toronto however these crawl spaces are very likely to develop because of the amount of moisture that collects under the house. It is normally damp in these crawlspaces due to lack of sunlight. Additional water from spilling, overflowing Eavestrough will dramatically increase the ability of mold to form. Hazardous Ice at Your Front Door! Ice patches are a slippery and dangerous part of winter. Nothing is worse than a re-occurring ice patch in your driveway, walkway, and porch or by your front door. Not only is it treacherous those walking to or around the house but it is destructive to your walking areas as well. Constant salting and scraping of ice, leaves the concrete weak, cracked and and causes chipping to occur. Cracked concrete acts like a reservoir and melted ice will run into these cracks, re-freeze and expand causing further cracking and damage. Ice Dams in Winter Can Tear The Gutters Right Off Your Home! Ice dams have become a serious problem in recent winters. Due to climate change, precipitation increases, poor sunlight exposure, poor attic insulation and venting ice dams are ruining thousands of Roofs and Eavestrough systems across Toronto annually. These dams can also lead to icicles that hang dangerously overhead of doors and walkways, threatening serious injury should it suddenly fall. Dams that build up from the Eavestrough almost always finds their way under the shingles, past protective membranes, attics and ceiling, causing costly damage to, rooflines, drywall and wooden finishing. Mosquitoes and Spread of West Nile Virus West Nile Virus is a virus that is spread through contact with infected mosquitoes. It first surfaced in Canada in 2002. The City of Toronto believes it is a big enough threat to its population that it employs teams armed with pesticides and repellents, ordered to remove standing or stagnant water wherever it may lie. A homeowner should assume responsibility for removing stagnant water on their property. Clogged, poorly sloped or loose or hanging Eavestroughs should be repaired to eliminate stagnant water that is breeding grounds for mosquitoes and other insects. The best solution TO ALL YOUR EAVESTROUGH ISSUES IS to keep the Eavestroughs clean and maintenance free is to install a leafguard system that will not allow mosquitoes to enter. ex; GUTTER FILTER OR LEAF DEFIER. Any of our professional quality leafguard systems will keep the Eavestroughs Clean. 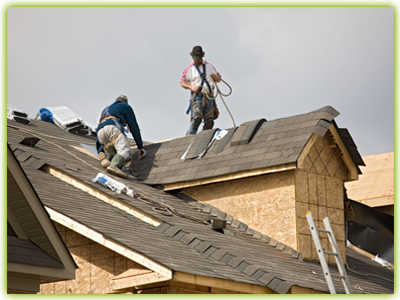 Complete Eavestroughing and Roofing provides Eavestrough inspections, cleaning, repairs, replacements and roof repairs for Toronto, the GTA, Mississauga, Etobicoke, Oakville, North York, High Park, Scarborough, The Beaches Markham, Richmond Hill, Thornhill and more! Complete Eavestroughing is committed to respecting the privacy of individuals and recognizes a need for the appropriate management and protection of any personal information that you agree to provide to us. We will not share your information with any third party outside of our organization, other than as necessary to fulfill your request.